We specialist in moving businesses and offices locally, nationally and internationally from a single item to full loads. We understand how important it is for your office or business to be up and running, therefore we will work within your time-scale to minimise any disruption to your business. 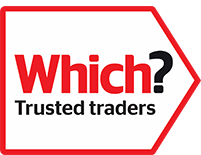 We can provide a free no obligation quotation right now just give us a call on 0800 035 0943 and one of our professional team will be able to assist you. One of our experienced removals experts will visit your premises at your convenience to discuss your moving requirements. As part of our commitment to ensure minimal inconvenience we operate out of hours including evenings and weekends. Boxfill can do both internal and external removals whatever your needs require. We know how stressful and time consuming office or business moves can be. We are here to make everything as simple, fast and stress free! The safe transportation of your furniture, belongings and prized possessions is our first priority. All your items will be covered in transit blankets whilst strong ties are used to make items safe and secure whilst in transit. Our professional packing service can help alleviate the stress before your moving day. For more information, please see our packing page. Boxfill storage operates its OWN safe and secure storage facility for home, office and business. For more information see our self-storage page.